Years before I started my own, I was an avid reader of many a blog. But now, as a I blogger I feel I am way more aware of other blogs and many outlets have led me to find the most wonderfully interesting and creative posts and people. I think 2014 has been a massive year, and the year when blogs and vlogs have suddenly been given the recognition they deserve. Here are the posts from this year which have given me warm fuzzies and are a fabulous source of reading and inspiration. There's a good mix of established and new blogs here so I hope you find someone new or something inspirational! A Beautiful Mess are renowned for their wonderful crafty endless ideas and this year was no different! 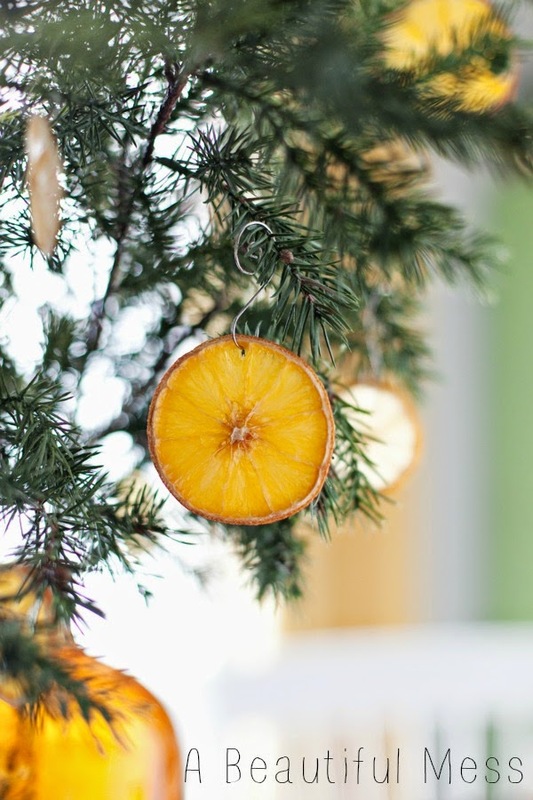 One of my favourites this year were their Dried Citrus Ornaments; an idea I'm definitely going to steal as a Mother's Day gift for my Mum this coming March as I don't think they just need displayed on a tree! 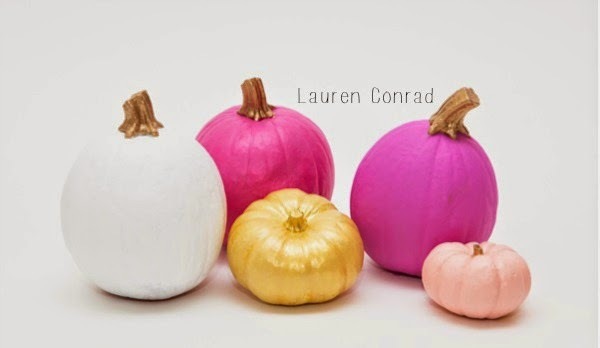 Lauren Conrad is also a wonderful source of inspiration and arty ideas. This year my favourite DIY/craft post were these Creative Pumpkin Decorating Ideas - who says pumpkins are an ugly vegetable?! A different take on regular beauty hauls and reviews I thought Megan Does Beauty's Taboo Beauty Products post was really interesting to read. Every gal needs deoderant or hair removal products - the world of blogging should be honest sometimes, not always glamorous! This post is a throwback to April, and no matter what time of year I'm always look for hairstyle inspiration. 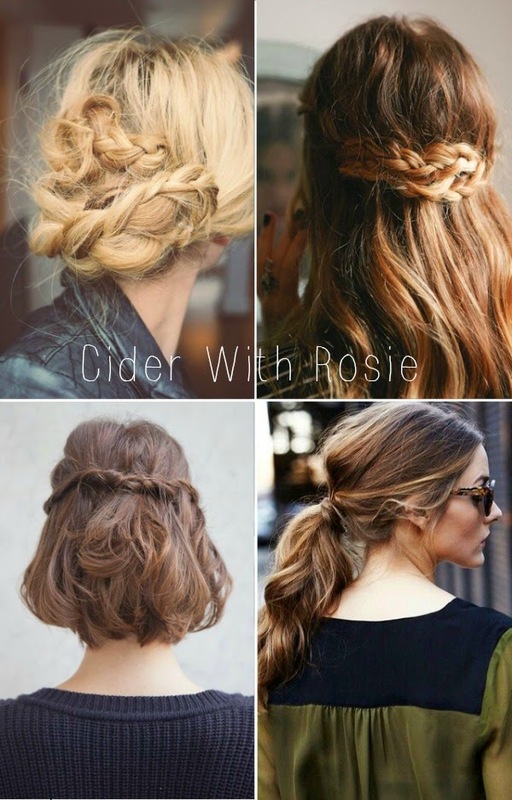 These Four Perfectly Tousled Up Do's on Cider With Rosie were right up my street! As a pale skinned girl I have always steered a million miles clear from any time of fake tan. Honestly! I've never worn it, but this post about Spray Tan for Pale Skin by Hannah Louise Fashion may have just inspired me to try it out some day. Weronika's blog Raspberry and Red is a very new find for me but I just love her effortless style picks and I can't wait to use her blog to inspire some of my own outfits. I love how in her post on The Men's Section she shows how even a petite lady can style up some men's clothes on herself. Whether I can pull it off is a different matter! Rachael's blog Koko Luxe has really diversified recently, and I love all the different posts she brings together in her blog. However, I still like to take a peek at her personal style posts every so often and again its casual effortless style that floats my boat. The love, relaxed nature of this photo/post and the snow also drew me in! As a newbie blogger I'm constantly on the hunt for tips and tricks to improve my blog. My favourite/most useful posts of this year have been found on I Can Build A Blog, Carrie Loves and Lily Pebbles. I haven't mentioned particular posts as I've used a lot! I also found this post on Chapter Friday about the Wonderful World of Google Analytics extremely helpful! 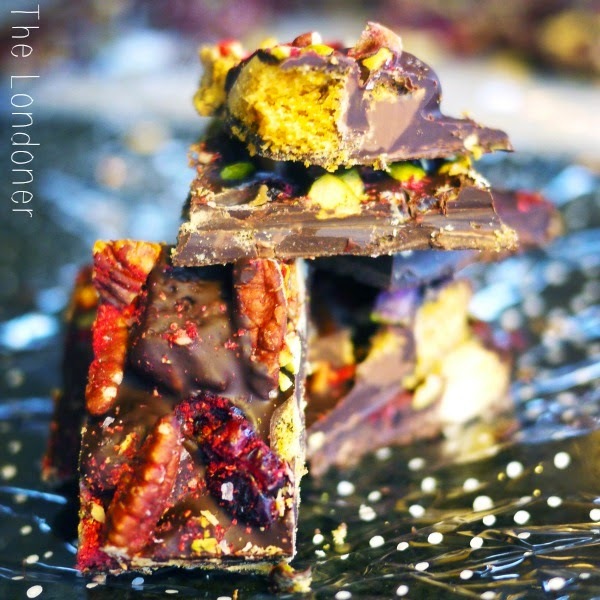 Okay I found this recipe for Chocolate Avalanche on The Londoner over a year ago but I made it again this Christmas for friends and family and its one of my most favourite and simply recipe finds. I'm also dying to try her Wild Mushroom and Gruyere Egg Baskets. Finally, this Slow Cooker Lemon and Garlic Chicken on Essbeevee certainly tickles my foodie pickle and looks ever so tasty and is one for when I get my hands on a slow cooker, not exactly a student essential. I found this really hard to pick as I love just casually reading through catch-ups but they're not the sort of thing you save and go back to! However, Nishaantishu's posts on We All Start As Strangers and So, How's Married Life? both got my brain a-whirring. She's also a fellow freckley person! I also thought that this post by Olivia of What Olivia Did about why she's okay not drinking was also pretty thought provoking and a great little peek into someone else's life. Finally Suzie's post on Hello October about body shaming was also one of my favourites as I hate that people sometimes forget it can go both ways too! Dorkface - Jemma is a fantastically creative blogger and I love taking a peek in her scrapbook pages. Prompts By Dee - Dee started her blog around the same time as me, she has brilliant unique content on a huge range of topics and its been great seeing her blog grow. The Little Plum - I just came across Chloe's style blog yesterday and I can already tell she's going to become one of my favourites. The China Doll Diaries - Finally, a Scottish blogger like me, I absolutely love Lisa's content and she leaves the sweetest comments. I hope this list can give you all some new blogs to go and have a read and there's hopefully something for everyone. I've so enjoyed reading all these blogs next year and I can't wait to read all the fantastic ideas from the buzzing blogging world in 2015! Now I'm off to cook a White Chocolate and Raspberry Roulade - recipe coming soon! 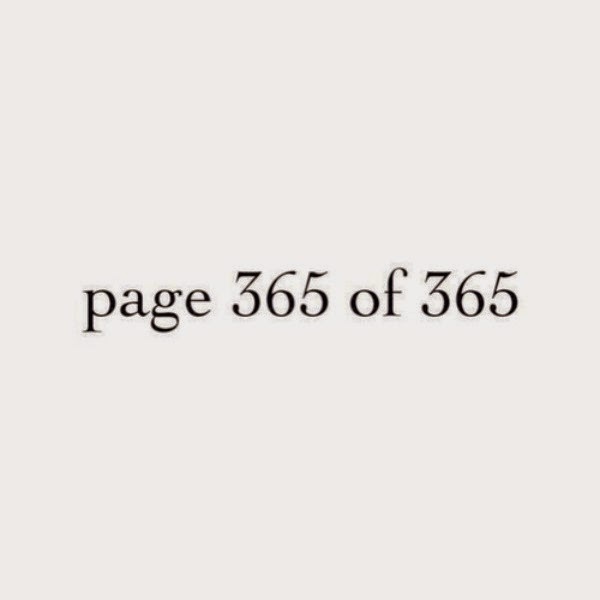 Have a wonderful NYE and see you in 2015 lovelies! Thanks for the recommendations! 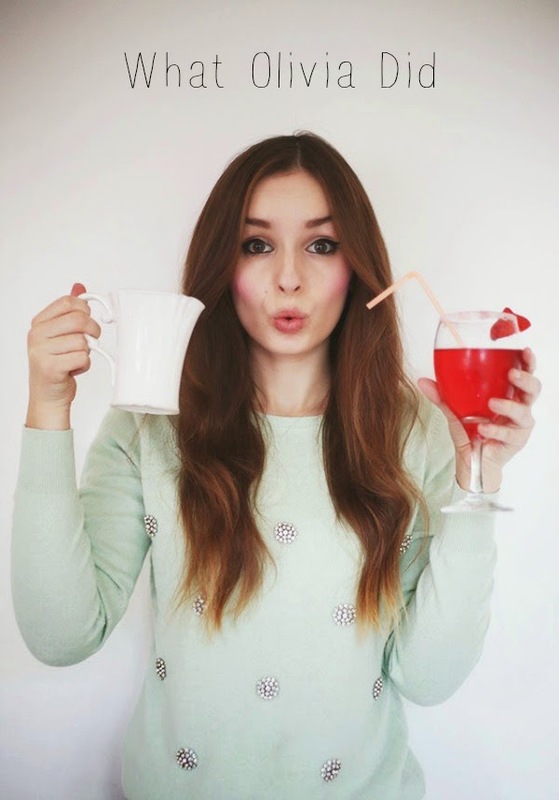 I love Olivia's blog! You're welcome! It was so hard to condense down though! I love it too, her posts are lovely. Love this post hun, I completely agree with so many of them (especially Olivia and A beautiful mess) stunning, stunning blogs! Aww thanks lovely! It's so nice to know that you enjoyed my post! It means the world. An End of Year Blog Survey!